If you haven’t heard of or seen the no-farm Spellthief’s Edge strategy in action yet, leave this page, and don’t read further, so as to preserve your innocence. If you choose to ignore this warning, you do so at your own peril. The Spellthief’s Edge no-farm strategy was first made popular last weekend in the LCS, and, since then, it has quite literally taken over the world. 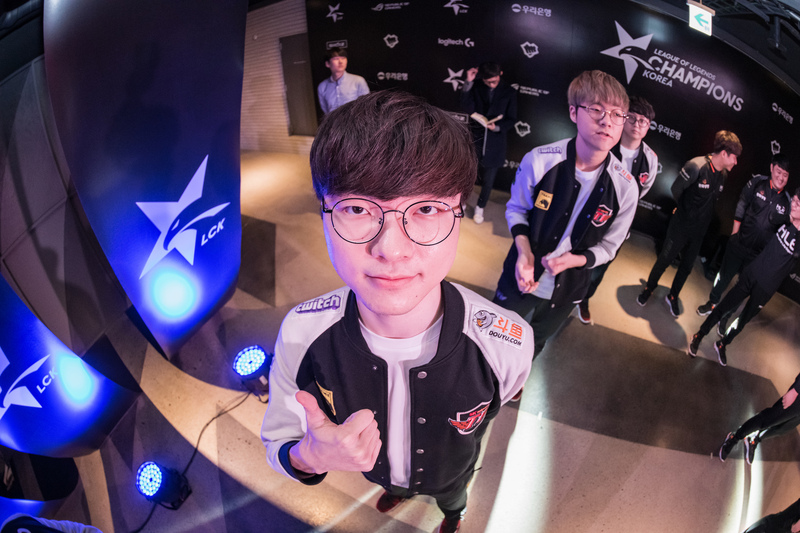 Today in an LCK game, SK Telecom T1 and Kingzone DragonX took it another step forward. Honestly, it doesn’t even matter who won this first game of the series. Why? Because when there are five Frostfangs and three non-farming laners, no one wins. It’s boring. That’s right, three total non-farmers—both top lanes and KZ’s mid lane. Eventually, everyone started to farm, but it wasn’t until around the 10-minute mark. By 12 minutes, top laners Viktor and Karma, as well as mid lane Azir, only had a combined 105 farm. That’s six less farm than KZ’s bot lane Ezreal had alone. Oh, Ezreal had a Frostfang, too, by the way. He just chose to farm with it. By the time mid-game rolled around, almost everyone had fully charged their Frostfangs with gold. There were five on the field, with SKT’s top Viktor and support Gragas having two, and KZ’s Karma, Azir, and Ezreal having three. Ezreal eventually sold his to complete his build. Between the five of them, they were able to place a total of 15 vision wards at any given time, and that’s not even including vision from trinkets. When someone would use a Sweeper to clear one ward, three more would take its place. It was completely ridiculous to watch. If you’re as sick of this meta as we are, fear not—Riot pushed a hotfix to gut the no-farm strategy yesterday, but there’s a chance the Frostfangs stick around anyway just to provide vision for a relatively low cost.